Dry and warm weather marks the months of April to June. Flowers bloom abundantly in the Himalayas, rhododendrons in particular, adding a splash of color to the landscape. The temperature in the Terai region may reach and exceed 40°C, while Kathmandu temperatures hover around 30°C. 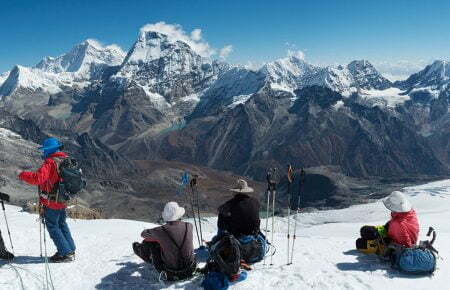 This is the best time to undertake mountain expeditions.